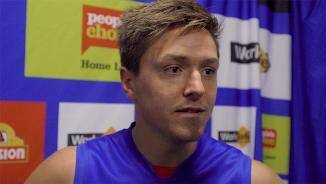 Fergus Greene did all he could for the Dogs’ VFL team to earn a call-up to the senior side. 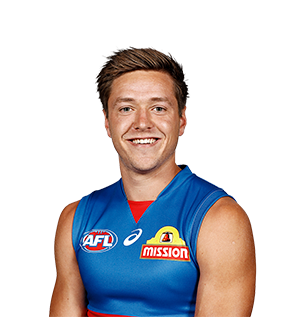 Western Bulldogs have secured young forward Fergus Greene until at least the end of the 2019 season. 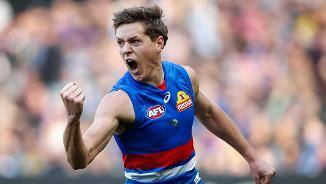 Western Bulldogs would have been pleased with what they saw from Fergus Greene. 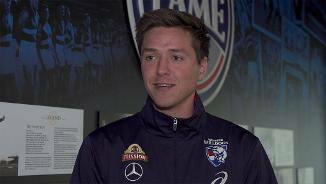 Greene was selected with the Western Bulldogs' fourth pick in the 2016 NAB AFL Draft (70 overall). He impressed in five games for the Bendigo Pioneers this season playing up forward where his making and kicking abilities were a highlight. Ultra competitive, can run all day (his 15.6 beep at the Rookie Me Combine was the best recorded by any player drafted at the 2016 NAB AFL Draft. Greene made his AFL debut in Round 19, 2018 against Port Adelaide, going on to play the remaining four matches of the Premiership Season and kicking a goal in every one of his games.